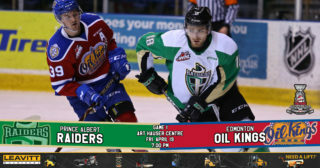 Prince Albert, SK – The Prince Albert Raiders are pleased to announce that the team has signed forwards Cole Fonstad and Carson Miller to Western Hockey League Players’ Agreements. 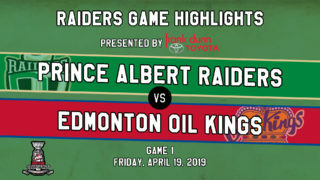 In May, for only the second time in franchise history, the Raiders selected two players in the first round of the WHL Bantam Draft. 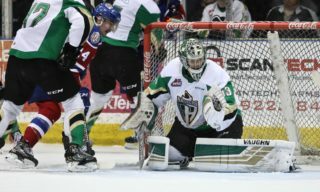 Fonstad and Miller were also two of three Saskatchewan-born players taken in the opening round of this year’s WHL Bantam Draft. Fonstad, selected by the Raiders fifth overall in the 2015 WHL Bantam Draft, played the 2014-15 season with the Estevan Bruins Bantam AA team. In 29 games, the Estevan, SK product recorded 36 goals and 31 assists for 67 points. In 10 playoffs games, he scored six goals and four assists for 10 points. Fonstad also saw time with the Moose Jaw Generals in the Saskatchewan Midget Hockey League where he played five games. Miller, a native of Yorkton, SK, was chosen by the Raiders 21st overall in this year’s WHL Bantam Draft. In 31 games with the Yorkton Terriers Bantam AA squad, Miller posted 49 goals and 58 assists for 107 points. In nine playoff games, he added seven goals and 14 helpers for 21 points. Miller’s point totals in both the regular season and the post season led the Saskatchewan Bantam AA Hockey League. 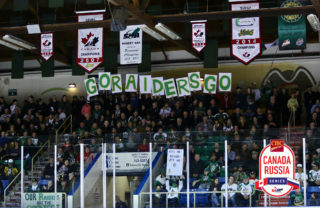 The Raiders are seeking volunteers for the 2015-16 season. To become part of the Raiders family and find out more information, please Michael Scissons at scissons@raiderhockey.com.